Coconut powder a very simple and best way of using coconut. Making of it at home is easy. The term Coconut can refer to the entire coconut palm, the seed or the fruit. Botanically speaking it is a drupe or stone fruit not a nut. Offering coconut to the deity during festivals and in special occasion is considered as important task. It is also a part of the daily diets of many people. It is considered as an auspicious fruit or nut. The coconut is known for its great versatility. It is called as Kalpa Vriksham, as all parts it is useful someway or the other. Like oil from the kernel, charcoal from the hard shell and coir from the fibrous husk. Even The dried leaves also used as roofing material and timber was used to build houses and boats in most of the island areas. In India brooms are made with dried leaves to clean the houses. The coconut flesh is the layers of endosperm deposit along the walls of the coconut. When dried it is called as copra. The oil and milk derived from the coconut flesh is used in frying and cooking. The milk is derived from the shredded coconut. Coconut oil is also used in soaps and cosmetics. The coir derived from the husk is used in variety of products like bags, furnishings and decorating items. When reading about the coconut, got a very interesting info from wikipedia, that it is the national tree of the Maldives and is considered the important plant in the country. It is also included in the country's national emblem or coat of arms. 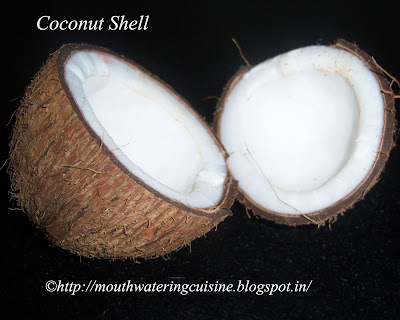 Knowing about the benefits of coconut we use it extensively. We use it almost in our daily diet some way or the other. Directly or indirectly. 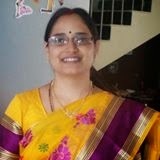 We also offer coconut to deity every now and then, through which we will have lot of coconut stock in my refrigerator. Instead of spoiling and throwing it, I keep fresh home made coconut powder and use it whenever the recipe calls for. There are two ways to make coconut powder one is make shredded coconut and blend it in a blender jar. 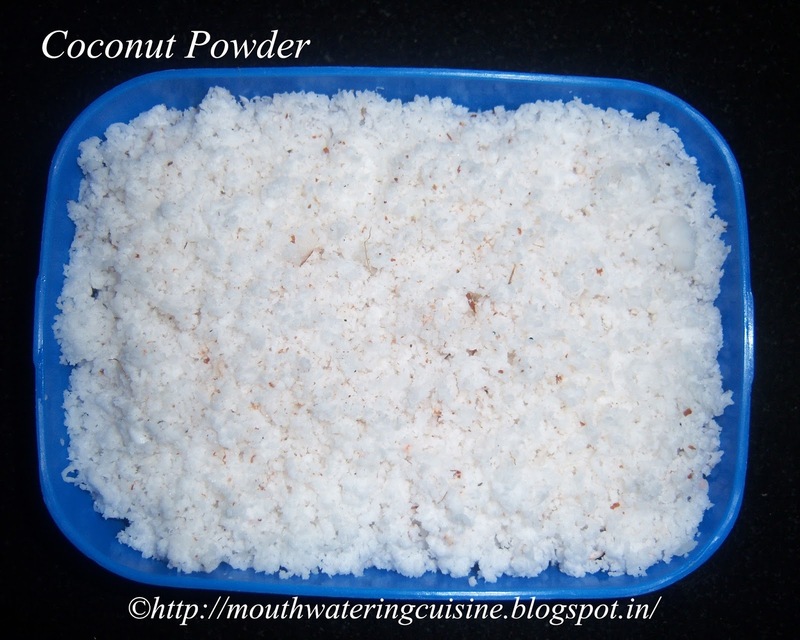 Just use pulse or whip to make coconut powder. The second way is, scrape it with a scraper specially meant for it. In this process we get most of the white portion of coconut flesh. In the first process, we have to remove the dark flesh, a thin sheet of it and then shred it and blend it. In this process sometimes, if the coconut flesh is too ripen, then it releases oil. So better use scrapper. I prefer to use scrapper. Earlier almost every household will have it in their kitchens. Now a days we are getting everything available in the stores, so also coconut powder. But home made is always preferred. It will break into two parts. Scrape outer,hard shell part of the coconut with a knife. So that all the rough, dust goes off. Spread a fresh paper or a plate on kitchen platform or any clean surface. Hold the scraper, on top of it, with the left hand and move the small lever, which is there in the bottom of the scraper, towards our side, so the vacuum under the scraper fixes it to the kitchen platform. Fix the scrapper to the kitchen platform. Hold the coconut shell with our left hand and rotate the right side handle. Scrape each shell, as shown in the picture. Collect the coconut powder in a fresh, dry and air tight container. Make use of it whenever the recipe calls for. We can make coconut milk from this scraped coconut.